“Be An Engine for Change” and join in the packing revolution. On August 19 and 20, Stenzel Clinical is one of the corporate sponsors of a Feed My Starving Children MobilePack event. 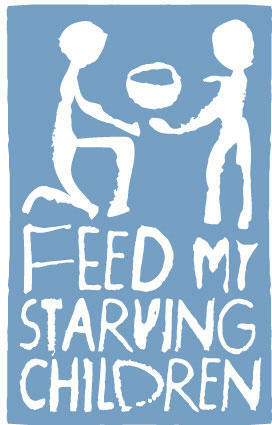 This event’s goal is to put together 544,320 meals for hungry children across the world. The event, which is titled “Be An Engine For Change,” will feature approximately 2,500 volunteers looking to pack more than a half-million meals. MobilePack events are amazing; they allow people of all ages across the U.S. to pack nutritious meals for those severely in need. In this year alone, Feed My Starving Children’s MobilePack events has produced 60 million meals for hungry children across the world. If you’ve been searching for a great volunteering opportunity, Feed My Starving Children is a non-profit you can truly feel good about. They have received a four-star rating for Charity Navigator for nine consecutive years and have been able to ship 600 meals across the world. They have a nearly 100% success rate in shipping these meals. This is one of the fastest growing charities today and they are truly making a difference in the world. Stenzel is proud to be a sponsor of this great event. Click here to find out more information about this Union Station MobilePack event.